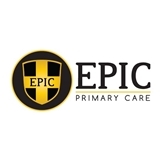 EPIC Primary Care (Ferndale) - Book Appointment Online! EPIC Primary Care uses a noticeably different model of care – one focused on your needs and providing a higher level of quality care and affordable service. We do this through innovative practices, excellent customer service, and the efficient use of technology. We call this model “NuWellness”. OUR APPROACH - Your EPIC Primary Care team will work with you as your long-term health care advocates, helping you manage your health issues and navigate complex decisions, and empowering you with the knowledge and guidance you need to make positive changes. MIND, BODY, MEDICINE - Science has proven the link between a healthy MIND and a healthy BODY. We take all aspects of your health and lifestyle into consideration to help you restore and maintain optimal health, We feature physical therapy, exercise physiology, and psychological counseling right in our office. They were great, knowledgeable, very easy to get along with!